Losing teeth is not a minor matter. It can affect regular functions of the mouth, like speech and chewing. In addition, missing teeth tend to create a cascading effect, increasing the chances of losing more teeth. This is because the remaining teeth have to take over the tasks of the missing ones. For example, when you chew, you tend to chew on one side of the mouth, giving the other side time to recover. If enough teeth are missing in one side of the mouth, the other side never gets time to recover. In addition, teeth are part of your facial appearance. People who have lost teeth often feel uneasy when smiling or laughing in front of others. The traditional option is to get a removable denture. However, removal dentures are slowly being replaced by implant solutions that offer more benefits without the inconveniences of removable dentures. 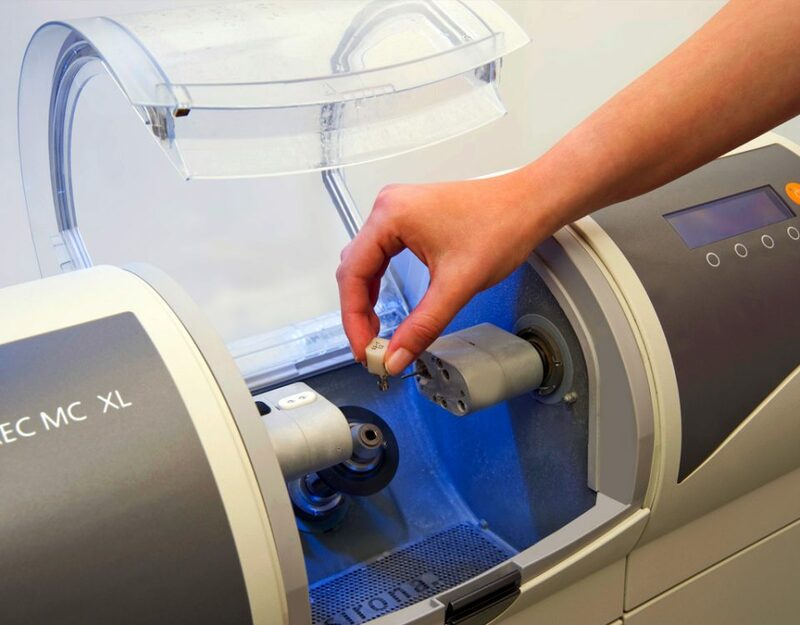 At Costa Rica Dental Team, we’re proud to offer our “all-on-four” implant solution. 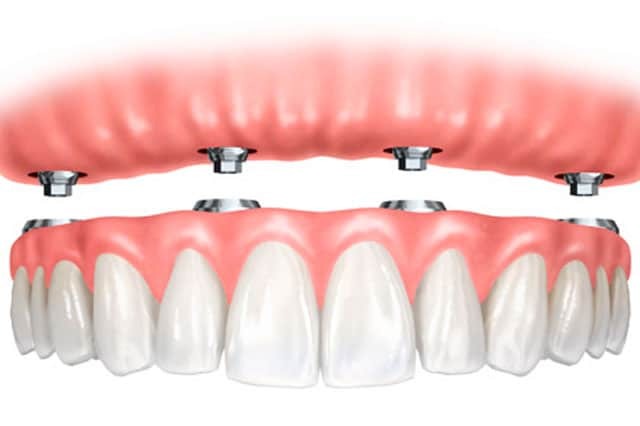 An all-on-four dental implant is a bridge that is supported by four dental implants. Unlike a removable denture, a bridge doesn’t need to be taken off for cleaning every night. During conversations and eating, it stays in place and doesn’t get loose or out of place. In addition, it feels very natural and most patients forget that they are not real teeth. Perhaps the most important advantage is that it avoids the scenario of having to pull your teeth out in public that so many people dread. Fixed bridges have one inconvenience: they are expensive. In the United States, the cost of a fixed bridge can be very high. 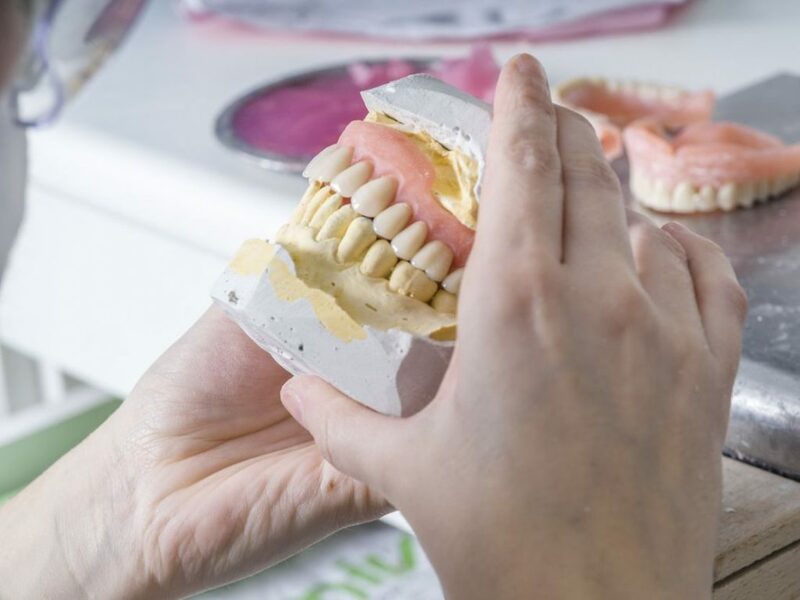 The high cost is not due only to the price of the bridge itself, but also because of the fees that have to be paid to the dentist, as well as the price of medications, x-rays, and other related items. In addition, a patient that needs a fixed bridge typically needs more dental work. As a result, many patients, even if they have dental insurance that pays some of the costs, find that they can’t afford a fixed bridge. Many uninsured patients often get no tooth replacement at all. As dental costs continue to rise in the United States, more and more Americans are looking for alternatives elsewhere, and what they are finding is that traveling to Costa Rica to get their fixed bridges is more affordable than in the United States. 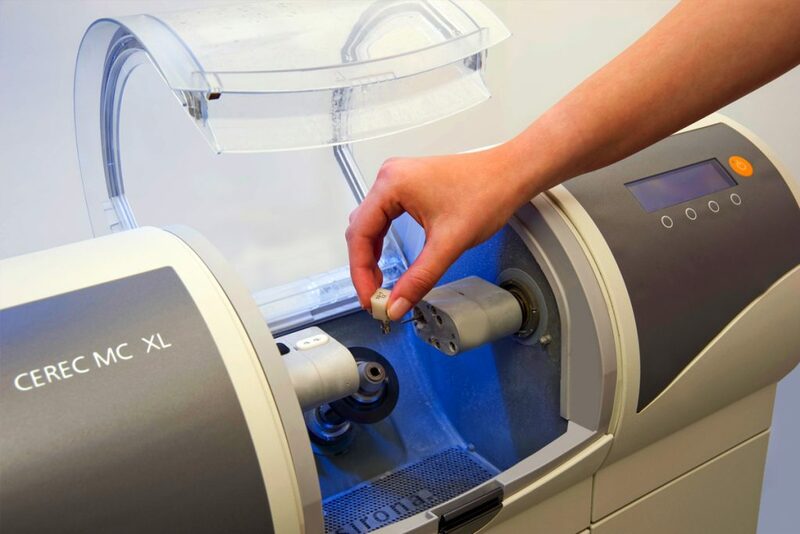 One of our specialties is our all-on-four dental implant solution, a bridge that is secured by four dental implants. 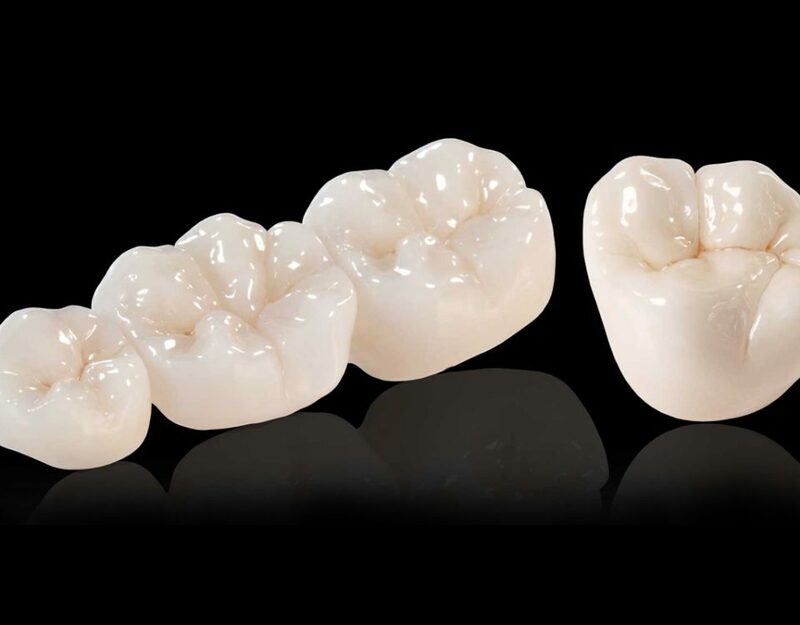 The materials used for the bridge and the implants can vary depending on your circumstances, needs, and budget, but the result is still more affordable than getting each implant separately. 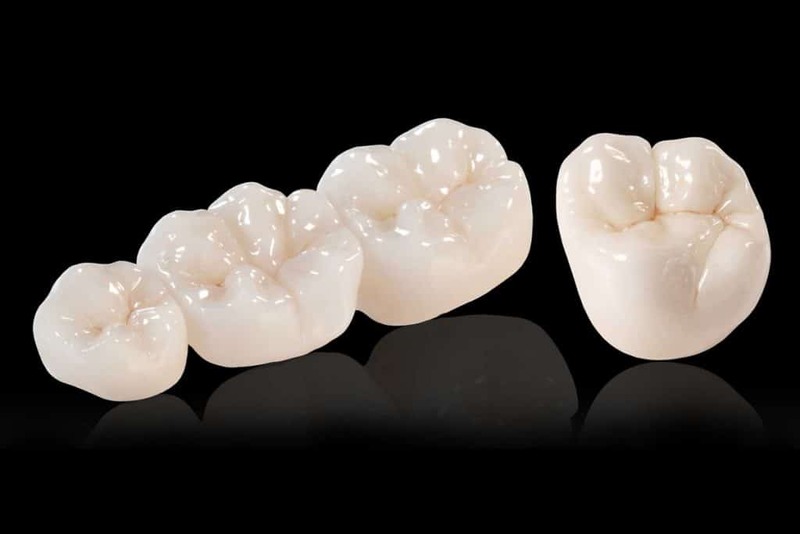 Our American patients typically have no problem affording the best looking, most durable bridges. However, even though our prices are more competitive, our quality is top-notch. Our dentists receive training in the most modern dental practices from the best dental schools in the world. We continuously invest in the best instruments and equipment available. Lastly, our dentists and staff speak medical and dental English fluently, so you don’t have to worry about communication problems.